Includes QR code Illustrations and text on inside cover Previous edition: 2013. 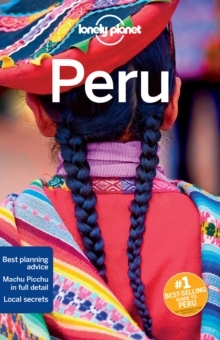 # 1 best-selling guide to Peru * Lonely Planet Peru is your passport to the most relevant, up-to-date advice on what to see and skip, and what hidden discoveries await you. Trek the ancient Inca trail, puzzle over the mystery of the Nasca lines, wander the stone temples of Machu Picchu or indulge in local delicacies in Lima; all with your trusted travel companion. Inside Lonely Planet Peru: Color maps and images throughout Highlights and itineraries help you tailor your trip to your personal needs and interests Insider tips to save time and money and get around like a local, avoiding crowds and trouble spots Essential info at your fingertips - hours of operation, phone numbers, websites, transit tips, prices Honest reviews for all budgets - eating, sleeping, sight-seeing, going out, shopping, hidden gems that most guidebooks miss Cultural insights give you a richer, more rewarding travel experience - history, cuisine, music, the arts, nature Over 70 color maps Covers Lima, Amazon Basin, Huaras, Cordilleras, Central Highlands, Chan Chan, Cuzco & the Sacred Valley, Lake Titicaca, Arequipa, Canyon Country and more The Perfect Choice: Lonely Planet Peru, our most comprehensive guide to Peru, is perfect for both exploring top sights and taking roads less traveled. Lonely Planet covers must-see spots but also enables curious travelers to get off beaten paths to understand more of the culture of the places in which they find themselves. *Best-selling guide to Peru. Source: Nielsen BookScan. Australia, UK and USA.